Sarah and Michelle sing the song as I play and Stephanie enjoys her serenade, June 6, 2015. “When are you going to write a song about me?” Stephanie asked me this question often when we first started dating. And rightly so. I’d written songs about girls before—and songs about books and songs about songs—so it made sense I would write one about the woman I’d one day marry. But I stopped writing songs all together. It didn’t have anything to do with Stephanie, though it might’ve had something to do with the effect she had on my life. I went to college, realized getting my act together wasn’t lame. She made me better from Day 1. Eventually, she stopped asking and, on occasion, would say: “One day you’ll write a song about me.” Which is both a request and imperative. 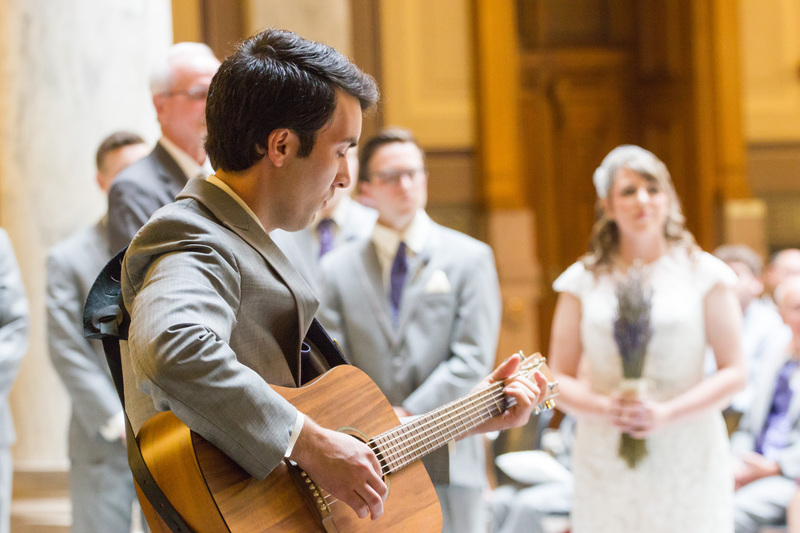 Writing a new song for our wedding was my idea. Pulling through this once became important. I needed a simple, straightforward song that captured how I feel about Stephanie, our life together, and our journey ahead—to Mankato and beyond! The result, I believe, does that. The phrase “small ball of twine” popped up when I stopped thinking too hard about it and just wrote. Fun fact: Minnesota is home to the world’s largest ball of twine. I didn’t know this when I wrote the song—but I digress. My older sisters Michelle and Sarah, who are also married, sang the song at the wedding. Most guests didn’t know it was written for the bride. Some said they thought they’d heard it before on the radio. Anyone who found out said I had to record it. The echoing cell phone video on Facebook didn’t cut it. Making a better recording has been on my To-Do before Minnesota list since practically the day after the wedding. Like a small ball of twine. My wins and losing streaks. I’m yours, if you’ll have me. I’ll always fight for you. It’s true—you know I do. A million and one gifts would never be enough.